Lavender body milk with panthenol, lavender bath salt and marigold soap will create the genuine fragrant home spa in your bathroom. Give your loved ones piece of health from our healing spa springs. The healing sulphur springs in our spa have been helping patients with skin diseases since the 18th century. Herbs in a sulphur shampoo care for the irritated scalp and the thyme acne gel cares the oily skin and also smells wonderful. Do you want to give your loved ones some of our products, but not sure which is the right one? 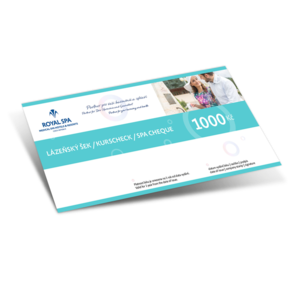 Gift voucher is the best choice, even as the last minute gift. Pick one in a few minutes and we will send it to you by email. 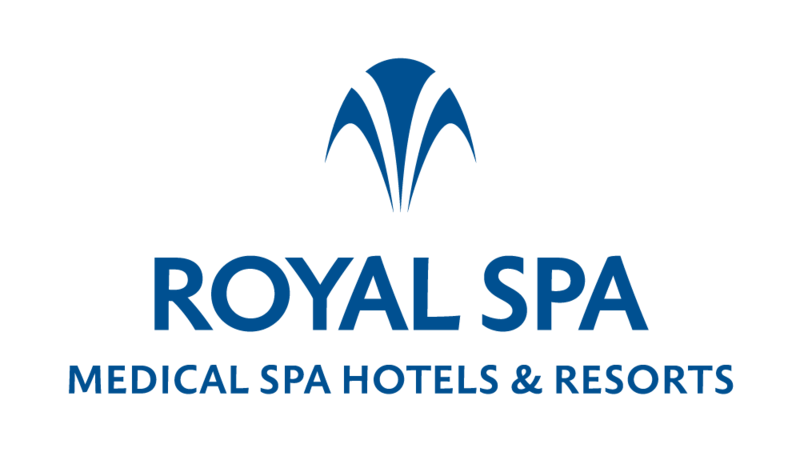 Royal Spa gift vouchers in different values that you can offer your loved ones, business partners or employees. They can be used for accommodation, spa treatments or gastronomic services in all Royal Spa spas and hotels. Fresh water from the Luhacovice healing springs has a positive effect on the skin due to the special composition of minerals. Hydrates the skin and returns it the elasticity and freshness. Refresher is sutiable for cleaning problematic acne and oily skin. Gently ground clay with high volume of humid acids used for wraps, skin masks and whole body peelings. Suitable for detoxification, weight loss procedures and improvement of the blood circulation of the lymphatic system. Cleans and disinfects the skin. Relaxing oleogel for the whole body care and against cellulite. Contains natural thermal water. The synergic effect of multiple plant extracts has a cleansing, warming and boosting effect. Gentle warming creates a feeling of perfect relaxation.